Domestic Sanity is a blog about everyday interests ranging from movies, music, art, culture, and inspirational people. 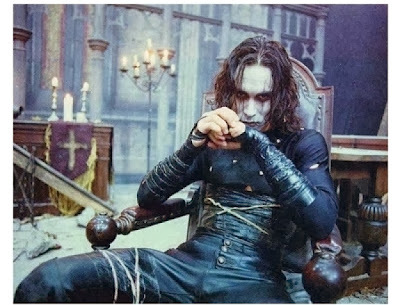 Eric Draven and his newlywed wife Shelly are brutally murdered in their apartment. Eric was the first to die, being stabbed, shot and thrown out the window. Shelly was repeatedly raped and beaten by the four culprits, later dying in excruciating pain in the hospital. This is not the end of a story, but the beginning. The Crow is one of the rare comic book films made in the early 90s that holds true to the essence of its source material. According to the film, a crow is responsible for carrying newly deceased souls from the land of the living to the afterlife. Sometimes a person could die with so much anguish that the crow returns that spirit to its body to relieve its pain. Eric Draven is resurrected with immortal power, returning for vengeance. The wicked are hunted down one by one and executed in a somewhat sacrificial fashion. 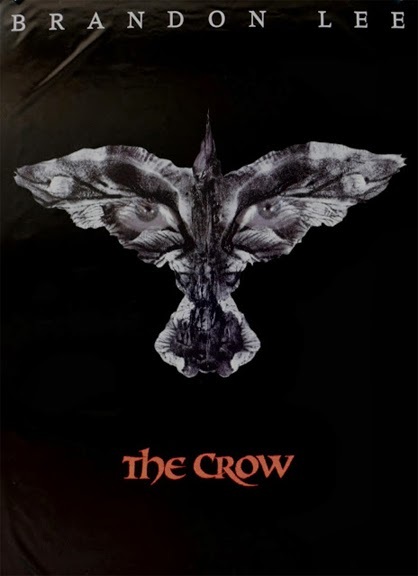 Based off of the popular comic book series by James O'Barr and directed by Alex Proyas, The Crow merges the Gothic with the mythical in a modern backdrop. Even though the movie is set in Detroit, it is extremely stylized with black stone architecture under never ending rainfall. The city seems like it is warped back to the middle ages, where crime has become the institution, and evil is commonplace. Eric Draven comes back not only as a grim reaper, but to give some small measure of hope to the few good people left. There is a haunting pull of real darkness in this film. This heavy feeling looms because of Brandon Lee's accidental death during filming. There are scenes where body doubles were used to finish shooting, and as the plot progresses to the middle of the film, Draven's face is seen less and less, as if he is more of an apparition than flesh and blood. There is something ominous about seeing shadows and silhouettes in place of a man that already ceased to exist. 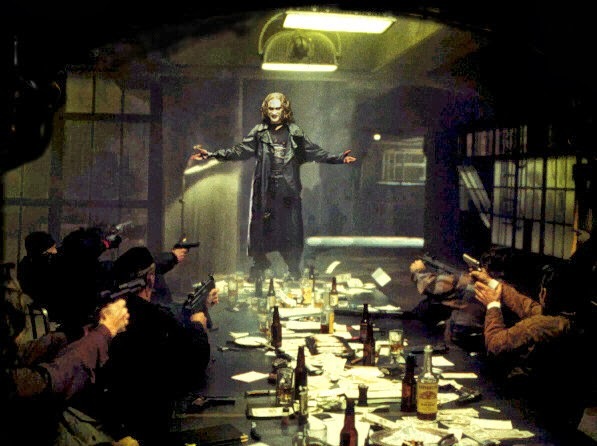 The Crow is definitely not horror, but the menacing acts on screen and the tragic story behind the projected image sure create the atmosphere of one. It's A Christmas Photoshop Miracle! Observe the power to digitally enhance beauty. How truely scary the story of Mrs. Doubtfire can be!!! The Sequel to "Going to the Store"
Banksy in NYC: "Sirens of the Lambs"